The STAR Neighborhoods program gives Princeton residents the opportunity to actively participate in building a more sustainable community. Participating neighborhoods select activities that will enhance their neighborhood but also reduce their carbon footprint. In doing so, neighborhoods earn program credits for their efforts and can achieve designation as a STAR Neighborhood: Sustainable, Together and Resilient for that calendar year. 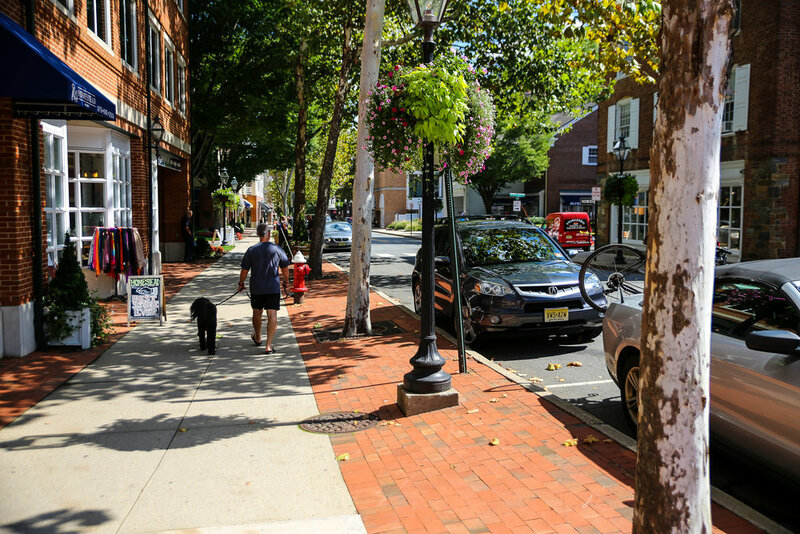 By definition, a neighborhood is any residential district that forms a community within Princeton. Neighborhoods can be one block, a street, an apartment building, or even a collection of city blocks. For the STAR Neighborhood program, each neighborhood is welcome to define its own boundaries, based on its unique geographical characteristics. Please read on to learn more about this program and how you can get your neighborhood involved. Once you’ve completed the three starting actions, complete our registration form and begin your journey as a STAR Neighborhood! The goal of the STAR Neighborhoods program is to provide the motivation, framework, and resources to for residents to achieve more sustainable lifestyles, reduce their carbon footprint, and connect with their neighbors. Each year, certified STAR Neighborhoods will be recognized by the Mayor and Council for their efforts, but perhaps the bigger reward is achieving new sustainability goals and forging new relationships in your neighborhood. In our rushed and sometimes detached society, neighborhood relationships can be neglected. However, by getting to know your neighbors and learning to trust them, you can support each other during times of need, keep your home and neighborhood more secure, and even improve your health. Furthermore, STAR Neighborhoods have access to information and resources that can actually deliver financial savings. On top of that, every neighborhood should be considered as a fundamental unit of social change. While a person can achieve great things in isolation, we believe the power of a group can do even more! Neighborhoods achieve STAR Neighborhood designation by performing selected actions and documenting their efforts to Sustainable Princeton. Documentation can simply be a photo from the event, a copy of the guest list, or a flyer from the event. STAR Neighborhood program credits are awarded based on the type of activity, as described in Table 1. Three actions are required to start and each earn 10 points. All other actions should be viewed as potential Outreach, Seminar or Implementation actions, earning anywhere from 10 to 50 points, depending on the type of activity, and in certain cases the number of attendees. Outreach activities involve sharing a flyer or an email with your neighbors. As the simplest activity, it earns 10 points. Seminar activities require more effort, such as organizing a tour, speaker or workshop, and will earn at least 20 points. To ensure that neighborhoods get credit for promoting the event to neighbors, an extra point is awarded for each person who attends your seminar event. Implementation activities require significantly more effort to implement a major change, and as such, earn 50 points. Finally, certain activities are considered to have more impact, and have been labeled as Priority activities. To reward neighborhoods for selecting these activities, priority actions earn 10 extra points. As an example, consider the Home Energy Audit action. Education for this item could involve distributing flyers about Home Energy Audits to each of your neighbors (Outreach activity) or hosting a speaker that can explain Home Energy Audits (Seminar activity). Implementation involves some of your neighbors actually having Home Energy Audits performed for their home and documenting the results. Priority status adds 10 points to either Outreach, Seminar or Implementation actions. In order to receive certification as a STAR Neighborhood, neighborhoods should record actions and submit them to Sustainable Princeton with documentation. Sustainable Princeton will review all submissions and promptly award points to the neighborhood. A running total of each neighborhood’s actions and points will be displayed on this site so everyone gets to learn about your neighborhood’s progress. Neighborhoods achieving 100 or more points in a one-year period will be awarded Bronze, Silver, or Gold STAR Neighborhoods certification for that year, as per Table 2. Three actions are necessary for every STAR Neighborhood. Develop a Community Emergency Network: Knowing each of your neighbors and communicating with them is a crucial first step. Define your neighborhood and build a phone and email list of each neighbor, and you’ll earn 10 points. Host a Neighborhood Gathering: Once every neighbor has been identified, the next step is to plan an event to bring everyone together. Whether it’s a meeting or a party, the goal is to begin to form relationships, and earn your neighborhood another 10 points. Establish Your Leadership and Goals: At this or another neighborhood gathering, invite Sustainable Princeton to introduce the STAR Neighborhoods program, select at least two leaders from your neighborhood, and consider goals for your neighborhood. Once a neighborhood has completed these three actions, you are ready to register for the STAR Neighborhood program and will have already earned 30 points! To determine how you will get the next 70 or more points, review the STAR Neighborhood Action Items and select one or more actions to pursue over the next year. Please ensure this is a group decision, give special consideration to the Priority actions, and consult with Sustainable Princeton to determine the best actions for your neighborhood. Consider the example in Table 3 for what one neighborhood’s activity in a one-year period might look like. By performing the three starting actions, hosting two well-attended Seminar actions, and performing one Implementation activity labeled as Priority, the neighborhood earned just enough points to have achieved Silver STAR Neighborhoods certification. Some neighborhoods hit the ground running. They are organized, meet regularly, and have already begun acting to make their community more sustainable. Great! We invite each of these neighborhoods to register as a Nebula Neighborhood, sharing their past actions with us, so that we can share them with the rest of Princeton. But don’t stop there! Take 10 points and begin your journey as a STAR Neighborhood. All neighborhoods are encouraged to renew registration for a second year as a STAR Neighborhood. If registration is renewed within a month of the one-year anniversary, any leftover points from the first year will roll over to the next year. For example, if a neighborhood earns 132 points in one year, 100 points are used to achieve the Bronze certification, but 32 points rollover to the next year! To begin the second year, a neighborhood should update its community emergency network, host another community gathering, and revisit the leadership and goals, before proceeding to select actions. Thank you to our generous sponsor, NRG Energy, Inc. Sustainable Princeton is here for you! We want to see your neighborhood succeed and achieve certification, so please ask for support and guidance at any step along the way. We can help brainstorm actions, find resources, and organize tours and speakers - just ask! For more information, please reach out to Sustainable Princeton’s Community Outreach Manager, Jenny Ludmer, at jenny[at]sustainableprinceton.org.